Miscarriage used to be something I couldn't discuss, I was so fearful of it. I couldn't even think about miscarriage because of what it might do to my relationship with God. And then it happened: I suffered a miscarriage last week. And like I feared, I couldn't handle it. I cried until I felt ill. It temporarily shook my relationship with God right down to the core. I felt that I would never be able to reconcile my intense hurt and sadness (and ANGER!) with what I knew to be true about God: that He is always good, and always in control. I don't know what it was specifically about miscarriage that I was so fearful of, because there are plenty of other events that would be more devastating than miscarriage. But I do know that most people have a similar fear(s) in their life, some area of their heart that they refuse to let God in on. Kyle and I were on family vacation in Oregon when we found out we were pregnant. We've been trying for another child since March, so this was welcomed and celebrated news! But the pregnancy test wasn't very strong, and I began to doubt. Blood work a few days later revealed that I was no longer pregnant, and was going to experience a miscarriage soon. And that's what happened. But something else happened, too. Jesus, in his perfect grace, showed up to meet me in the dark place I suddenly found myself. In fact, I'm sure He was there all along, waiting for me. Waiting to tear down this fear in my life that had formed a wedge between us. When I got the phone call from my OBGYN about my blood work, I burst into tears. Big, messy, heartbroken tears. Kyle and I went back to our room, put Drew down for his nap, and then we just cried. I began formulating endless "why" questions: why would God do this? Why here? Why right now? Why is He making me go through this? We had no answers, we just cried and prayed. In the midst of the tears and praying, I heard God clearly say to me: I wanted him home with me. I immediately felt a weight was lifted off my aching heart: God wanted our baby home in heaven with Him. How could I argue with that? A joyful laugh even fell out of my mouth. Because after all, as Christians, that's precisely what we want for our children above all else: that they would be spending eternity in heaven. The Bible says that our bodies are buried in brokenness, but will be raised in glory (1 Cor 15:43), and that's exactly what had happened to our little life. Raised in glory! How could we not rejoice in that?! Sitting in that room in Cannon Beach, I suddenly felt accomplished: my work for that baby was done. And Jesus' work for that baby was done. He is now in heaven with Jesus experiencing a joy we have yet to know here on earth. I couldn't stop smiling. Yes, my arms ache to not be able to hold that baby, but my heart rejoices knowing Jesus is holding him in heaven. And I no longer felt angry, I no longer felt fear. I just felt content, and a little homesick for heaven. I was bawling, and meaning every word I was singing. I was starting to see that in the midst of me shaking my angry fist at God earlier in the day, He met me in that tender place and showed me that I had been grieving as if I had no hope. But as Christians, we do have hope. Romans 15:13 says "may the God of hope fill you with all joy and peace in believing, so that by the power of the Holy Spirit you may abound in hope." I have hope in the goodness and perfectness of God. I have hope in His tender comforts. I have hope in eternity, because of Jesus. And that's what makes is possible to praise God in the midst of a heartache. That's what makes is possible to still seek God, in the midst of a heartache. John Piper recently wrote that "God’s design for suffering is that it magnifies Christ’s worth and power. 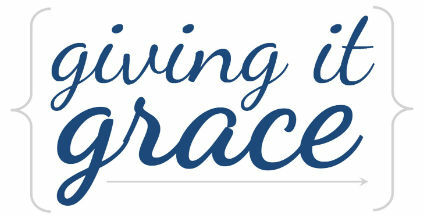 This is grace, because the greatest joy of Christians is to see Christ magnified in our lives." After this experience, I wholeheartedly believe this to be true. God answered my prayers through this miscarriage. Had that baby lived to be born, we would have prayed endlessly (just as we do with Drew) that he would come to know the Lord and spend eternity in heaven. God has already answered our prayer for that baby. God also answered another prayer of mine. If you've been reading along, you know that I was doing a little study on 'fear of the Lord' a while ago. That's the only proper fear the Bible instructs us to have; the rest of the time we are instructed to fear not. I will strengthen you, I will help you, I will uphold you with my righteous right hand." "Don’t panic. I’m with you. There’s no need to fear for I’m your God. I’ll give you strength. I’ll help you. I’ll hold you steady, keep a firm grip on you." When confronted by my fear of miscarriage as a reality, I had panicked. I had forgotten that God was with me. I feared suffering, because I had forgotten who my God is. He's a God that gives strength. He sends a helper, Jesus. He holds me steady when I'm drowning in my own conceited despair, and the holy spirit keeps a firm grip on my heart despite my doubting thoughts. Psalm 34:4 says "I prayed to the Lord, and He answered me. He freed me from all my fears." Miscarriage was something I held too close to my heart, and God knew that I needed to be freed from that specific prison of fear. When I found myself praising God in the midst of the miscarriage, I knew with confidence that I no longer feared miscarriage. Do I want it to happen again? Surely not. But do I fear it? Definitely not. That's freedom. I shared this because I hope it might be a relief to someone else going through something similar. I've been so comforted by God and the truths of the Bible, and I want that for others who find themselves grieving as I was: falsely without hope. Let it be known: God is good, He is in control. He loves His people. He is faithful, always. As for what's next: we are waiting patiently on the Lord to see what the future holds for our family, and rejoicing in His goodness! My friend sent me this blog that was really helpful for me and may be a comfort for someone else specifically grieving a miscarriage: http://hopeinmiscarriage.blogspot.com.